For a one-time thorough cleaning or a regularly scheduled service, you can rely on Sears Maid Services to get the job done right. Bathrooms, kitchens, living rooms, hallways, and any other room that needs a little sprucing up or a thorough cleaning can be tackled by our local teams. In both residential and commercial areas, our associates have a substantial amount of experience. From microwaves and ceiling fans to toilets and ovens, they know how to handle cleaning those grimy places. For a superior home cleaning service, you can trust, call Sears Maid Services. Give us a call at (631) 524-5000. Weekly, bi-weekly, and monthly cleaning services are available to apartment residents and homeowners and allow for a flexible schedule. Our staff is capable of working around your needs to accommodate a hectic timetable. For nearly any regular home cleaning service need, Sears Maid Services can create a program that will work best for you. We also offer intensive Deep Cleaning services if you require a more thorough cleaning a couple times a year, such as spring cleaning or before a large holiday gathering. This professional service includes all the usual benefits of a normal cleaning and extra attention being paid to other particular areas in your home. You can count on Sears Maid Services to maintain your office in a well-organized and efficiently cleaned state manner. Inconsistent cleaning can lead to disorganization and disarray. Keep a properly maintained workspace to boost employee morale and increase efficiency. Don't let a dirty office make a poor impression. A business needs to display itself positively for the benefit of vendors, workers, and customers. Our expert commercial cleaners are highly trained in the cleaning techniques needed to keep your office dust and stain free. For exceptional post-construction cleaning services, you can call the experts from Sears Maid Services. We have years of experience cleaning up the mess after a new home has been built. After the construction of a home is complete, it can leave a significant mess behind. Each room will need a thorough cleaning after all the drywall, carpets, and fixtures have been put into place. We can sweep, vacuum, and mop all the flooring and wash and sanitize each surface to free it from silicon, dust, and debris. At Sears Maid Services, we are so confident in our abilities that we can guarantee excellent results. If you are not entirely satisfied with the cleaning we have done, simply call us within twenty-four hours of your last cleaning. We will send someone over to inspect at no additional cost. If anything was missed, we will return to your home and make it right, free of charge. All of our potential employees undergo a vigorous screening process and thorough background check. We vet each candidate to reduce the possibility of professional misconduct. Once someone has been hired, we continuously provide them with on-site and off-site training to ensure that all of our employees obtain sufficient knowledge and skills to provide exceptional results on any job they peform. 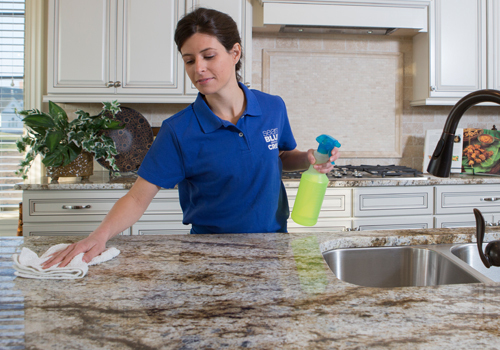 At Sears Maid Services, we know how important it is to be able to trust the workers you hire to work in your home. We strive to uphold the highest levels of integrity and expertise so that our clients can fully put their trust in us. Our success in this business is not only from doing an outstanding job but also upholding and building a trusting relationship with each and every client.